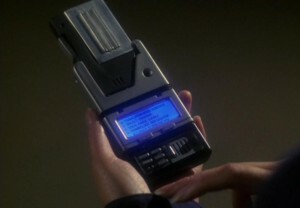 Microsoft seem to be close to a real life Star Trek Universal Translator. 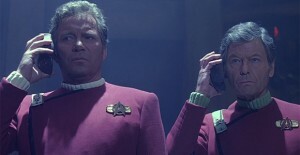 Before science fiction made famous by the crew of the Enterprise and now becoming one step closer to being a reality. At a demonstration by Microsoft chief research officer Rick Rashid at Microsoft Research Asia’s 21st Century Computing event in October 2012. They show Rashid giving a real time translation of English (voice) to Chinese (voice, via text), with the interesting twist that the translated language is spoken in his own voice. The speech recognition breakthrough via machine translation that converts his spoken English words into computer-generated Chinese language. The breakthrough is patterned after deep neural networks and significantly reduces errors in spoken as well as written translation. This isn’t the first software out there that has attempted to translate the human voice such as Apple’s Siri or AT&T’s English to Spanish translator, the big difference between these and Microsoft’s breakthrough is the new software’s ability to learn, process and pass along a human’s voice and cadence. The potential value for such a device is enormous. When the crew of the Enterprise encountered alien races the universal translator made communications possible. For business travellers and tourists, speaking a few words of the native tongue and let alone fluently, can make a huge difference. For immigrants, learning the language of their new country is often the biggest barrier to assimilation. That’s why Microsoft – and competitors like Google, among others – have worked for years to develop real-time translation systems.